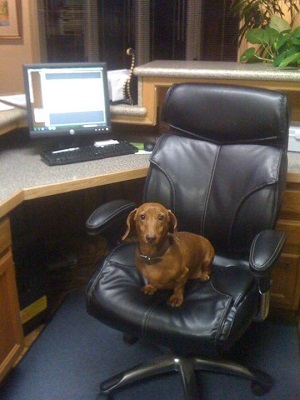 Introducing our new receptionist, Pete! Pete, our new receptionist, had an excellent first day at work. We’re working on his phone skills but I know he’ll be a quick learner.